Welcome to U Bounce Inc! 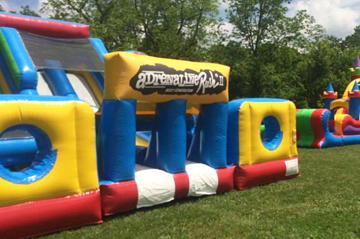 Thank you for visiting UbounceInc.com, where you'll find all the best inflatable attractions like bounce houses, water slides, and the best deals in Kentucky! With our new online reservations system you'll can browse all awesome attractions and equipment we have to offer and build your party or event as you go. You will see all our popular bouncers and dry slides, along with exciting obstacle courses, interactive games, and concession machines. You can be sure your rental will always show up on-time, and all units will be clean & sanitized. GUARANTEED! Our family owned business is focused on making your event unforgetable, with the support of our professional team members. U Bounce Inc. is licensed, insured and inspected by the state of Kentucky. Start your party booking experience today and get ready for the best events around! Building you party is easy at UbounceInc.com, with our new online reservations system. Just click the link below and enter the date and times of your event. As you browse through the website you will be presented with only those items available on your date. That takes all the worry about whether or not your favorite items are available. Not ready to commit just yet? No problem! You can also just explore all the categories and as you see items that are perfect for your party, just click the "add to cart" button on every product page, and build your party that way. That's it! It's easy as one, two, three! Start clicking now to Get Your Party Jumpin' today! 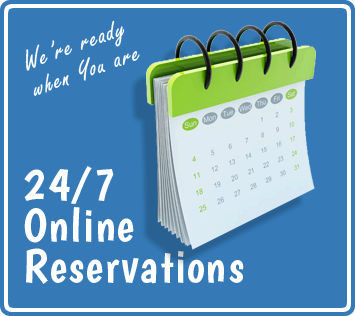 Click To Start Your Reservation! EXPLORE U BOUNCE INC'S EXCITEMENT! We have a great selection of America's favorite event attraction, the classic bounce house! These popular bouncers are perfect all types of events. Rent one these exciting units for your next event. 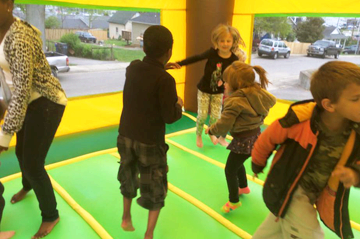 Combo Bouncers get their name from being a "combination" of the popular bounce house and additional features like climb & slides, basket ball hoops, and popup obstacles. 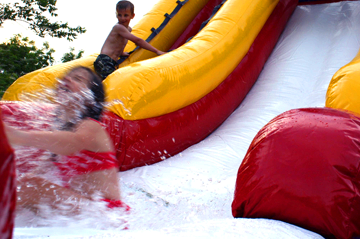 Our giant inflatable slide rentals are the centerpiece attraction where ever they go. These large slides are available as water slides or dry slides. Check to see which works best for you. Get ready for fun when you get your crew together and challenge each other with these awesome, extreme interactive game rentals. Dual lanes for racing, climb & slides, and rushing through tunnels will be a great time for all ages. If you're in charge for the party planning, don't forget the "Fun Food"! 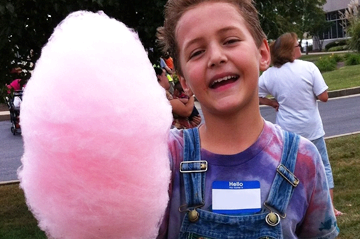 With our easy-to-use concession machines you can serve up classic tasty treats like fresh cotton candy, and sno-kones. Good old fashion fun! Everybody likes to save money, so that's why we have created value-added party packages so you can get everything you need to have a successful party and bring home within your budget. We have something for everyone! 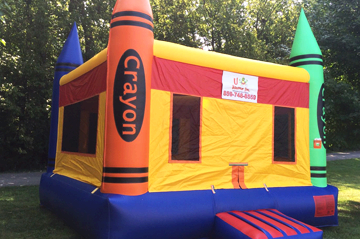 Whether your special event is indoor or outside, U Bounce Inc. has many party rentals to choose from. 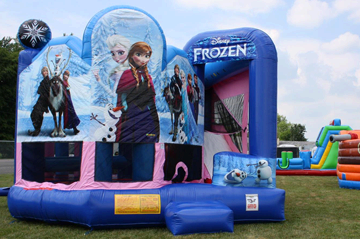 Our NEW rentals include: Sparkling Bounce House, Fun House Combo, 22ft Tsunami Water Slide, Slip N Slide, Giant Connect 4, Baseball Challenge, Football Challenge, Soccer Challenge, Basketball Challenge, Bullseye Archery Game and Hoverball Archery Game. We strive to provide the best rentals, best service and cleanest rentals in Kentucky!